Eliminating hepatitis C within a generation: what are you going to do about it? Niemann Pick type C (NP-C) is a rare disease in which the movement and storage of lipids in the body stops working. There is no cure; treatment aims at slowing disease progression. On average, patients wait 5-6 years for a diagnosis, as symptoms are difficult to identify. Yet rapid diagnosis and initiation of treatment are crucial to improving patients’ and families’ lives. ‘Think Again. 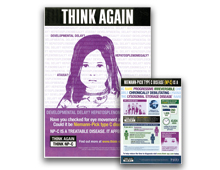 Think NP-C’ was a campaign created by the patient association the International Niemann-Pick Disease Alliance (INPDA) and Actelion, the first time the INPDA had collaborated with a pharmaceutical company. The campaign aimed to increase NP-C recognition among clinicians and reduce time to diagnosis, through joint working between the two groups. A series of meetings was convened to achieve buy-in from all parties and foster strong collaborative relationships at a country level. The campaign was market-tested with clinicians across Europe and various materials were created for local adaptation, highlighting symptoms clinicians should look out for. 17 countries have committed to rolling out the campaign locally, including nearly 80% of INPDA member groups. 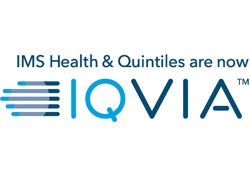 Of the countries that have launched so far, 1 has reported a 150% increase in diagnoses, and 3 countries have reported an increase in referrals/screening. Good evidence of improved outcomes driving earlier diagnosis and capability across multiple markets, thanks to strong partnership.